Ladies and gentleman, boys and girls, and anyone else who may happen to be using an Android-powered HTC smartphone, good times are coming, well, for some of you that is, as HTC have begun rolling out their Ice Cream Sandwich update to a very select few devices, with a larger device set to be included in the near future. The latest major release of the mobile operating system, Android 4.0, has been knocking around the smartphone scene since October 2011, but has so far only managed to make its way onto a very select number of devices due to various and unnecessarily complicated reasons. We had been hearing some chatter around the mobile scene that Samsung were about to push out their own update to Android 4.0 for the Samsung Galaxy S II device, which was confirmed yesterday as the Korean company flipped the switch, bringing Ice Cream Sandwich initially to S II owners in Korea, Sweden, Poland and Hungary. The update process will be made available to additional countries as time progresses, which is a similar situation to what we are seeing with this HTC announcement. We’re in the early stages of rolling out Android 4.0 for the HTC Sensation and HTC Sensation XE and upgrades will be more widely available in the next few weeks. 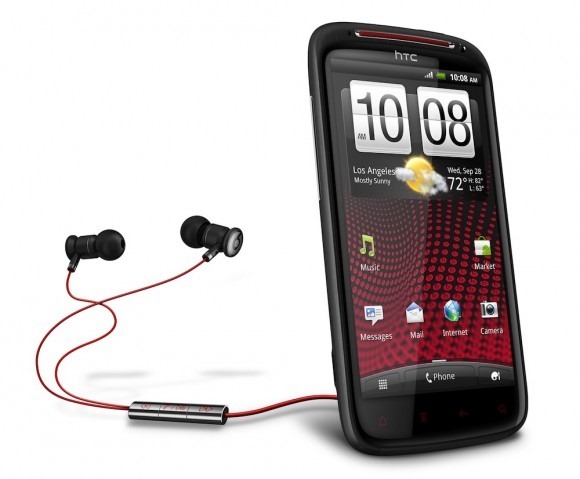 The update for the HTC Sensation 4G and HTC Sensation XL will follow. Please note, once we start pushing out updates it will take time for all carriers in each country to get the update. We are working closely with our carrier partners to nail down update schedules for our other smartphones and will have more to share very soon. Most Android owners have been waiting patiently since quarter 4 of 2011 to get their hands on Ice Cream Sandwich, so a few more weeks shouldn’t make a great deal of difference if your device is listed above. Users should be aware that the HTC schedule isn’t the only thing that is important as some networks will also need to approve the update and put it through testing to ensure that it doesn’t conflict with their own in-house software, so be prepared to wait a little longer.